Is Proform Right For You? Proform treadmills are perfect for those who love to walk or jog. These treadmills are cheap and are built for low intensity workouts. So if you're looking for an affordable starter treadmill, you might want to read the whole article. However, if you're a seasoned runner, you're better off buying a more expensive treadmill. This brand is not for you. Their treadmills aren't built to withstand intense wokrouts. It would be better for you to go for those worth $1,500 or above. In it's early days, Proform revolutionized the treadmill industry by introducing the now world-famous SpaceSaver(R) fold-away design treadmills. This made their Proform brand known and linked to treadmills. Proform treadmills are created by the largest manufacturer and marketer of exercise equipment in the world, which is Icon Health and Fitness. It has over 4,800 employees and 10 manufacturing facilities in the United Stated, Canada and China. Proform probably has the widest range of treadmills in the market today. And most of them, if not all, belonging to the entry level(below $500) to the mid-class(around $1,000-$2,000) price range. The biggest fallback of Proform treadmills is that most of them have short warranties. At the same time, there have been some complaints regarding the durability of their machines. Always remember that you get what you pay for. And this applies to everything including treadmills. If you're a seasoned runner who wants a quality treadmill with long warranties, then I strongly urge you to buy treadmills worth at least $1,500. Others: One of the better entry level treadmills from Proform this year in terms of providing value. Others: Comes with probably the best quality in all of Proform's ZT treadmills this year. Others: The upgraded version of the 8.0 ZT above. It comes with better specs and features but the quality is not as good. Others: Another beautiful Proform treadmill that was made from cheap parts. Others: One of the first treadmills in the market to come with a touch screen display. Others: One of the better entry level treadmills you can buy last 2013. Others: The upgraded 2014 version of the 995C. Still one of the best treadmills below $1,000. Others: One decent machine but I prefer you buy either the cheaper 995C above or the more expensive Pro 2500 below. Both provide better value for money. Others: With its 7" full color touch screen, this is one of the most feature rich treadmills in the $1,500 price range. Others:With its built-in 10-inch Android-powered touch screen, it is one of the first exercise machines to allow you to surf the internet while working out. Others: Also comes with a built-in 10 inch Android touch screen. This is one of the better treadmills below $2,000. Others: The bigger more powerful version of the Pro 7000 above. It is also $200 more expensive which is still a bargain considering everything you're getting. Others: Built for athletes and marathon training. This is the most expensive treadmill from Proform in a long time. Below are some of the older Proform treadmills that have been discontinued. I would keep the reviews here as most of these machines are still being sold online. Others: Just an ordinary entry level treadmill. Others: This is Proform's cheapest machine with upper body resistance arms. Others: This is one of the best Proform units that comes with the patented upper body exercise bar. Others: This Proform treadmill doesn’t come with the classic Proform 90-day warranty. Others: This machine use to come with one of the longest Proform motor warranty when it came out. Others: This is a decent model from Proform. 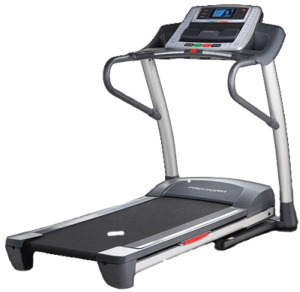 Others: This Proform treadmill comes with custom cushioning, which allows you to adjust to firmer or softer strides. Others: this is one treadmill from Proform with good cushioning. Others: This is a pretty looking machine with good cushioning. Others: this treadmill comes with the patented CrossWalk™ Total-Body Workout feature. Others: one of the better entry level treadmills from Proform a few years ago. Others: great looking treadmill but quality is below average. Others: A few years ago, this is one of the better treadmills from Proform. Others: this is one of the most affordable 5 Star treadmills from Proform. Others: this is the top of the line 5 Star treadmill from Proform a few years back. If you've had the opportunity to run on a Proform, chances are visitors of this site would love to hear from you. It's fun, free and easy to do.